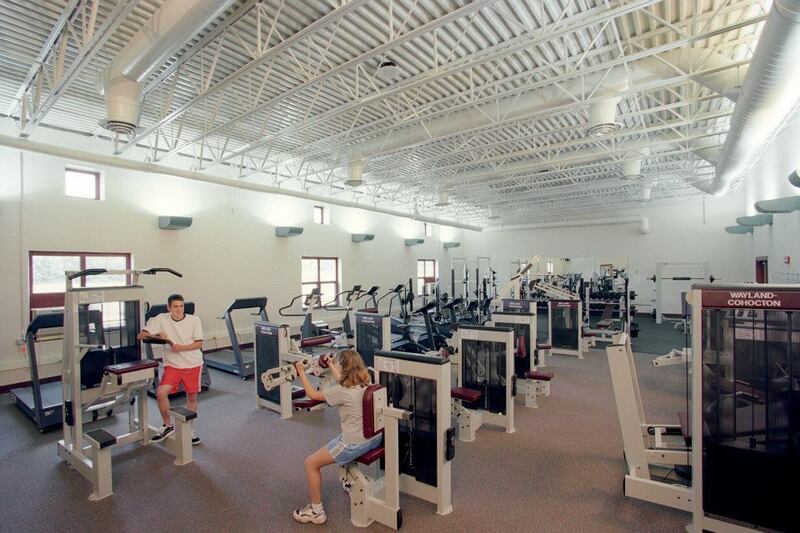 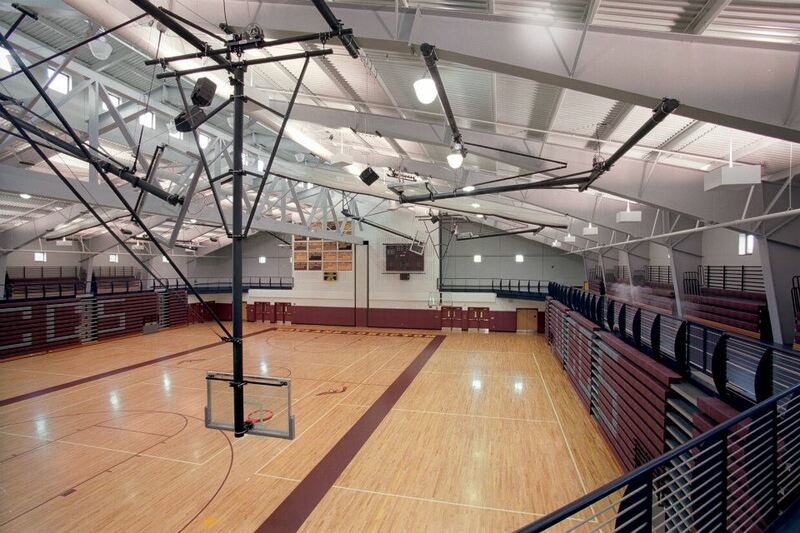 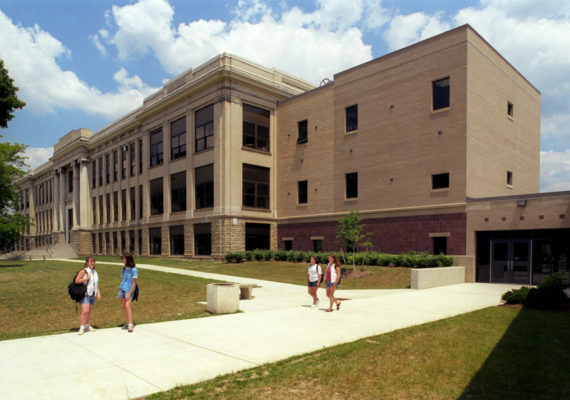 Served by an older K-12 facility, the district was frustrated by spaces designed for another era. 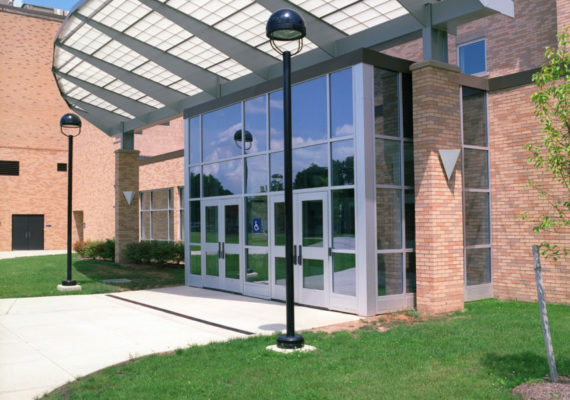 A strategy of securing space for the elementary and middle school at the expense of the high school created a real need for new high school facilities. 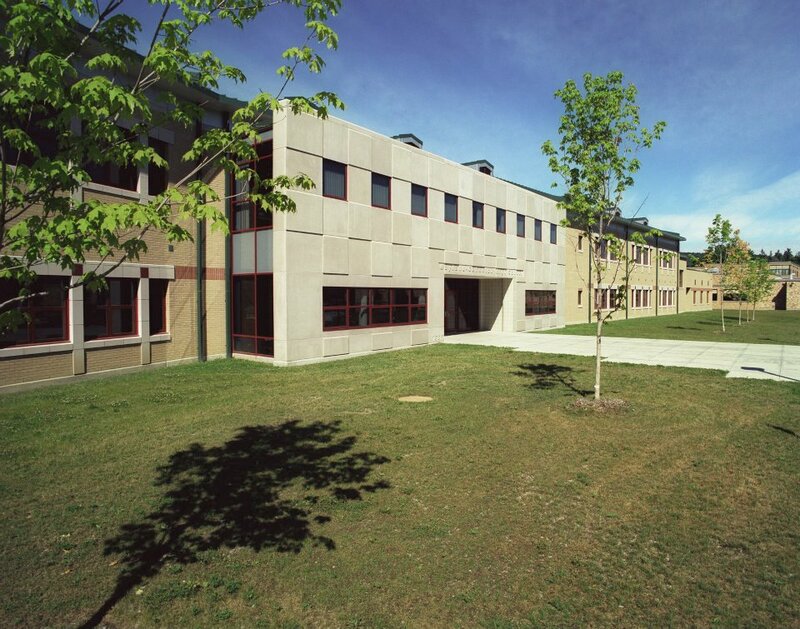 Site planners then reorganized the campus facilities to make three distinct programs, creating a new road. 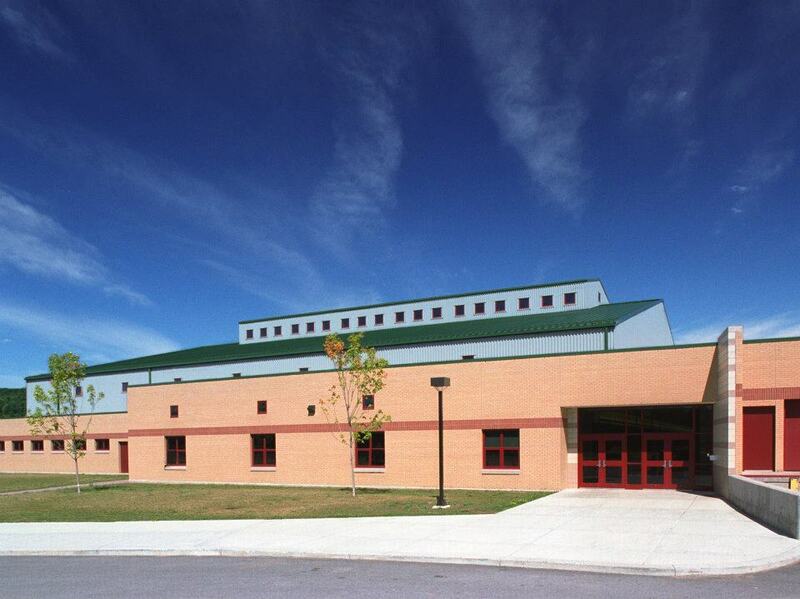 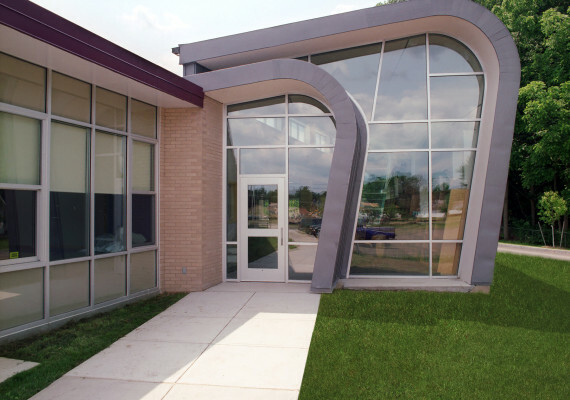 Architects designed a high school facing the new road, featuring a standing-seam metal roof with dormers, a distinctive color and material scheme, and use of existing sharable facilities. 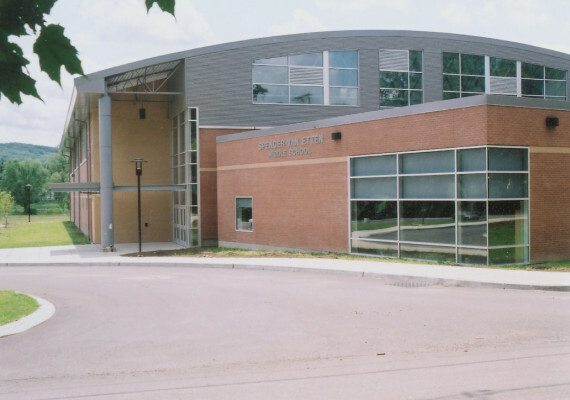 Joined perpendicularly to these facilities, it features new classrooms and a library, the hub of a fiber-optic network. 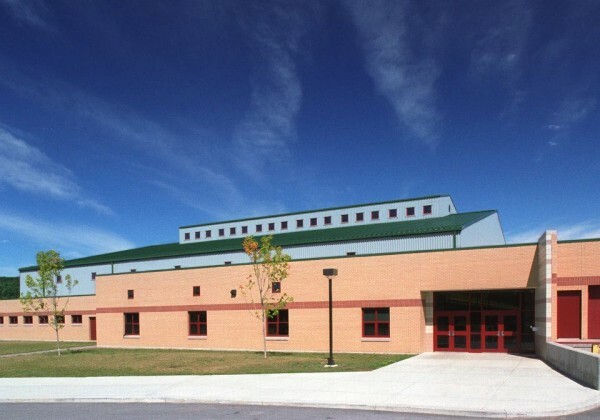 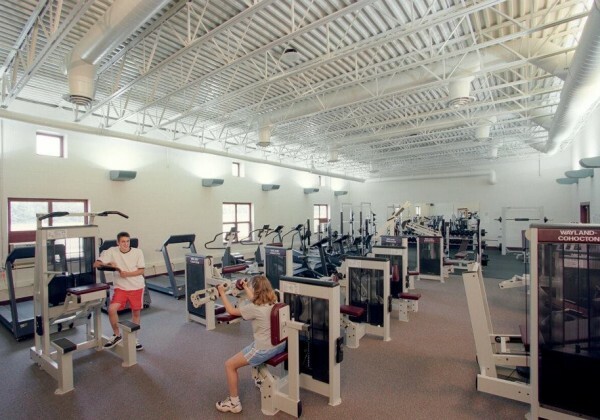 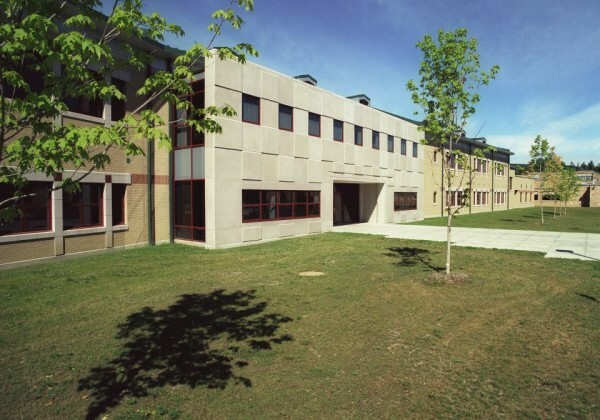 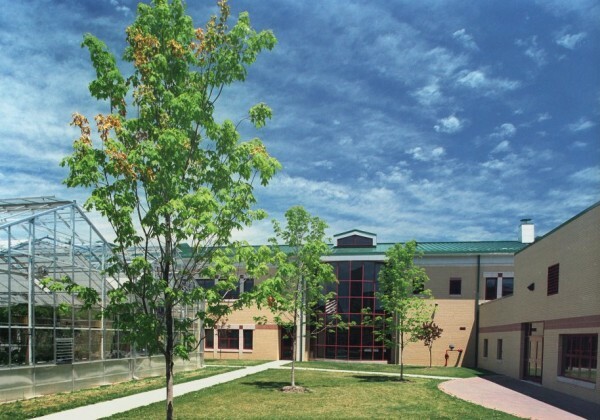 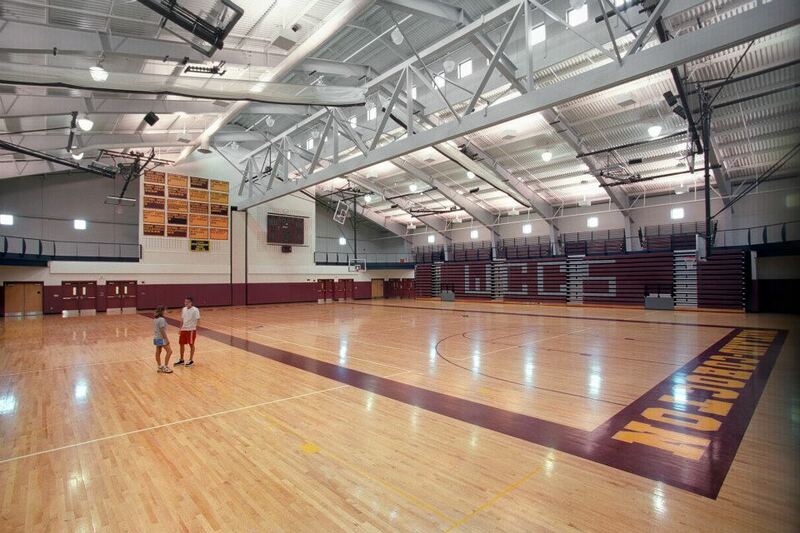 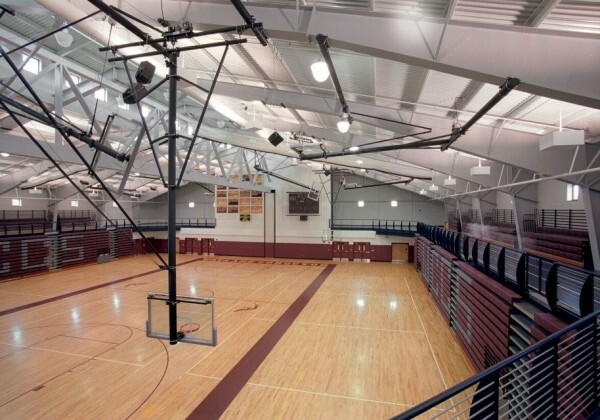 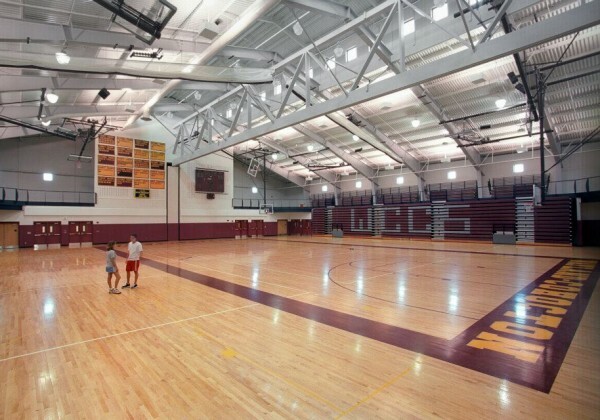 Two-story double-loaded corridors, “bent” to conform to a new access drive, strengthen the entrance and organize the connection to the new cafeteria, central kitchen and fieldhouse. 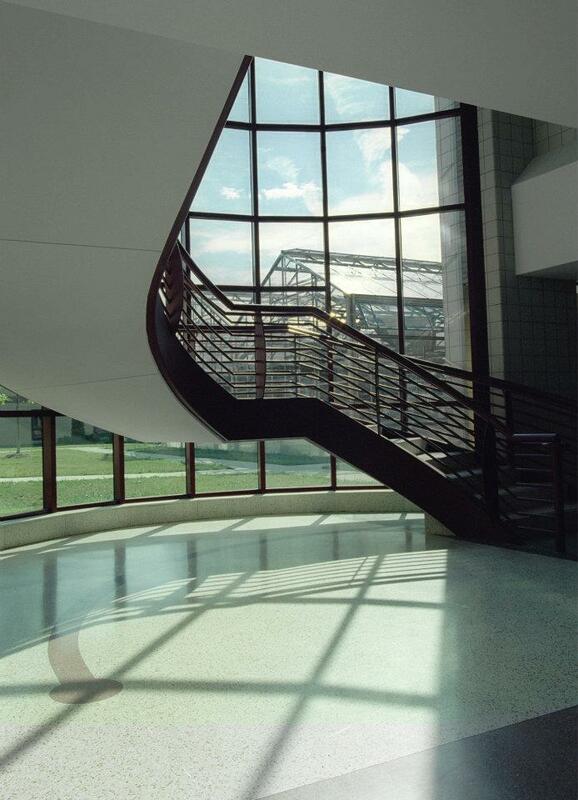 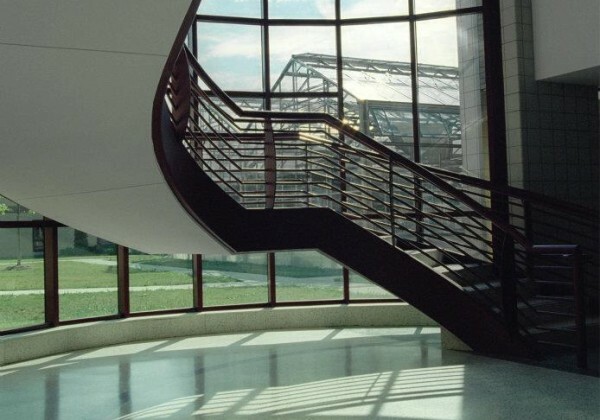 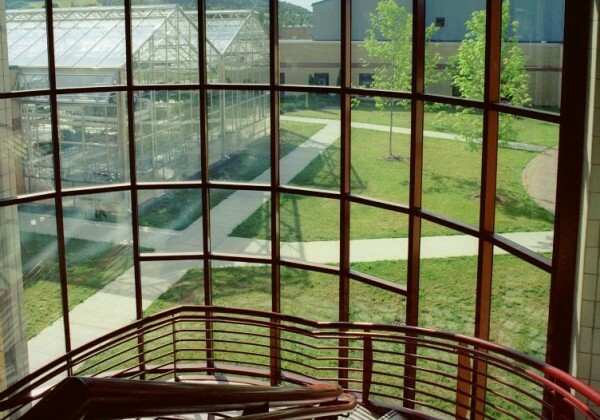 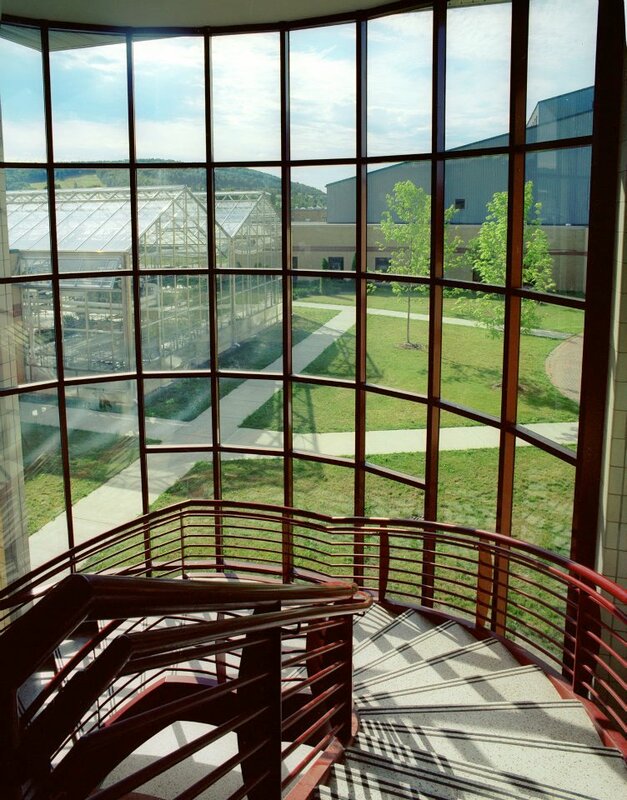 The entrance foyer features a grand staircase backed by a glass wall allowing visual connection to the fieldhouse, greenhouse and walkways through a park framed by the new facilities.